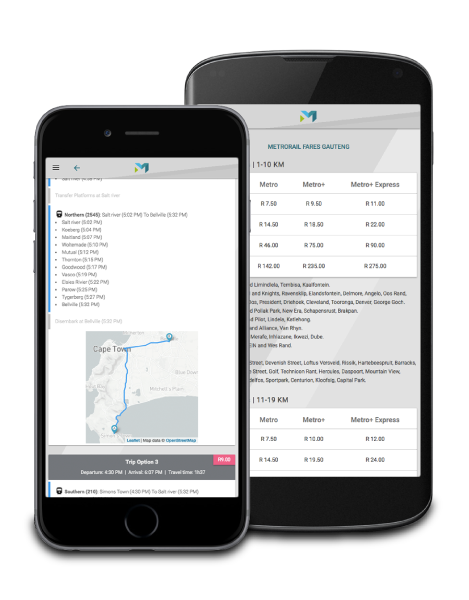 Our mobile application allows field collectors to quickly and easily collect the following data: trips, duration, distance, stops, passenger counts, basic passenger demographics and revenue. 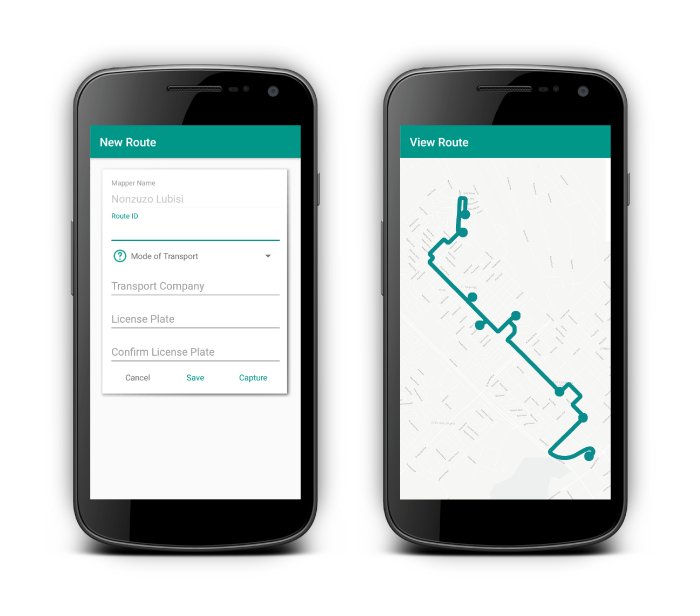 The data from the mapping app is automatically uploaded into our project management platform and converted to a GTFS standard algorithm. Design, operate and manage a Study. For daily commuters.  View your train schedules and regular updates on delays and cancelations on your browser or download our app. Note: GoMetro is not part of Metrorail or PRASA. What can you do with GoMetro Pro?  Measure and predict the number of riders, the distance driven for productive purposes, the number of trips undertaken, the vehicle operating hours observed, live km and dead km, as a significant sample of the entire population, system revenue modelled for mapped and unmapped vehicles alike. Discover the city’s network as it operates on the ground. 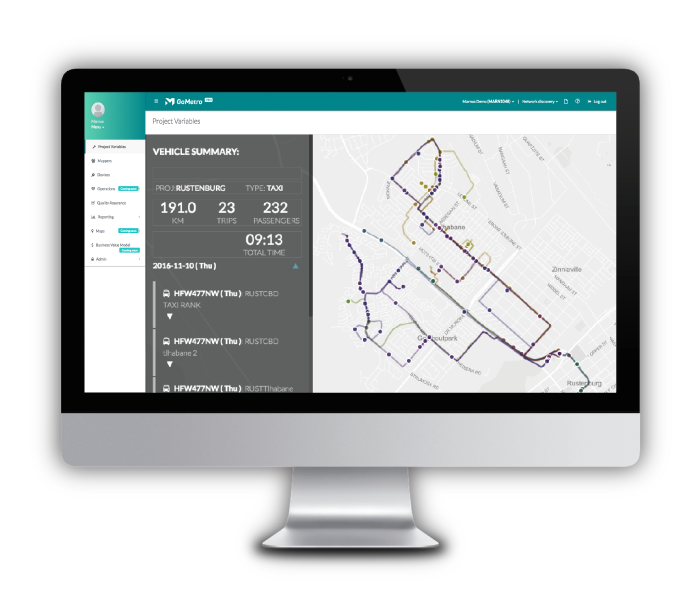 Conduct basic mapping, explore geographic network extent, assess network speeds for infrastructure improvements, Fieldworker recruitment and management. Determine the correct sampling strategy depending on trips or vehicles and spread out over operating times. Calibrate with rank counts on the days of data collection. Catering for weekday and weekend calendars. Inspection, Calibration of ticketing and tracking equipment, Spot-check of routes and operations to check the actual to the planned, Customer confirmation of service delivery, assessment of quality to develop operational plans and considerations, reports and maps, demand studies. 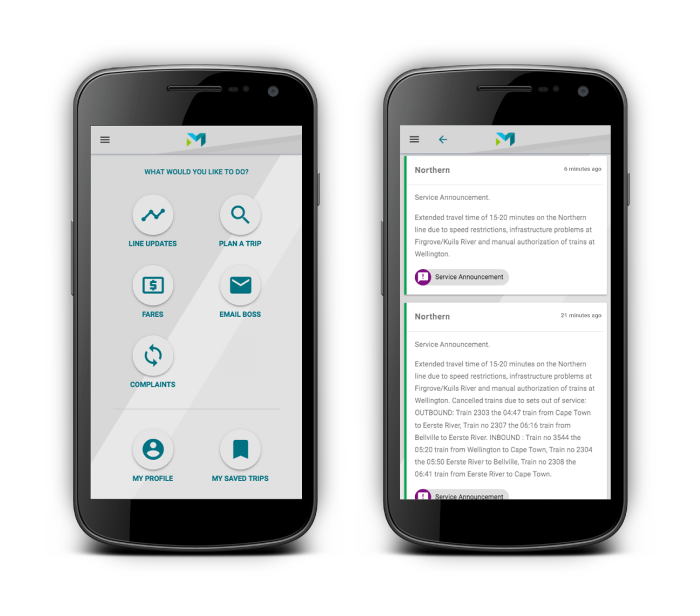 GoMetro Pro is an effective personal travel journey journal mobile application for the execution of mass participation of volunteer survey travel plans and self-tracking and measurement. Passenger App for information and real-time updates, Updater engine, API, email-your-boss button, mobile payments integration, complaints manager, user-tracking and polling for customer experience improvements.  All data can be directly exported into multiple formats for analysis by spreadsheet, GIS or mapping software, or alternatively provisioned as an API for 3rd-party development and more advanced integrations.  For the development of transport registers – Current Public Transport Record and Network Definition. Import into any transport modelling package. Transport Regulators can collect and analyse operations, evaluate new supply, understand operator business cases or levels of affectedness. Assess infrastructure adequacy in rank and link. Inspection, Calibration of ticketing and tracking equipment, Spot-check of routes and operations to check the actual to the planned, Customer confirmation of service delivery, assessment of quality to develop operational plans and considerations, reports and maps, demand study. Developers & Planners design and accommodate public transport, bank finance and mapping companies. Our technological solution allows corporates, retail centres, property developers, airports or universities to introduce newer and better transportation methods. The data is automatically uploaded into our project management platform and converted to a GTFS standard algorithm. Machine learning techniques work on the geospatial, network and data layers, allowing for data cleaning and processing. The analysis includes passenger transit patterns and network characteristics. These can be visualised and supported in an interactive visualisation environment. The GoMetro team designs, builds, implements and licences our products in an adaptive way to ensure client satisfaction and robust outcomes. What does the Data Manager system do? Design a Study: Set the Project Objectives and track KPIs of project delivery. Operate and manage a Study: Load devices and check usage. Process Data: Ensure accurate Quality Assurance. Reports and graphs per vehicle or collective: Reports. View results on map: Maps.  Export Data: Outputs to third-party software.  Set up a Passenger app: Data. Set up an API: Data. Provide real-time updates to passengers: Updater. in our Transport Data Warehouse. and the public within a defined and known pairing of demand and supply. Find a train anytime, anywhere: Planning the daily commute has never been easier. With schedules seven days a week, it is as simple as checking the app to be sure of what time to leave home. This also means not having to stand on the platform wondering if and when the train will be arriving. Features include: Line Updates from Metrorail, Journey planner, See stops nearby, Email your boss – to send a direct email to your employer, proving if train delays caused you to be late, Fare rates and Route maps. Train times. Train updates. Fare information. Use GoMetro on your browser or download the app for android and iOS. 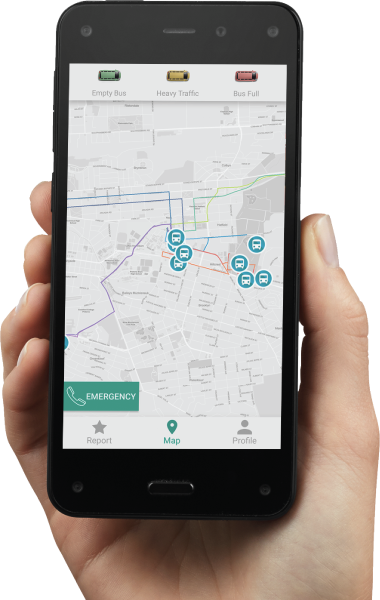 Mobi – Find out about your transport.  Go to http://www.gometroapp.com for the latest schedules and updates for PRASA Metrorail, Gautrain, MyCiti, Rea Vaya and Golden Arrow. On your phone, on your way. 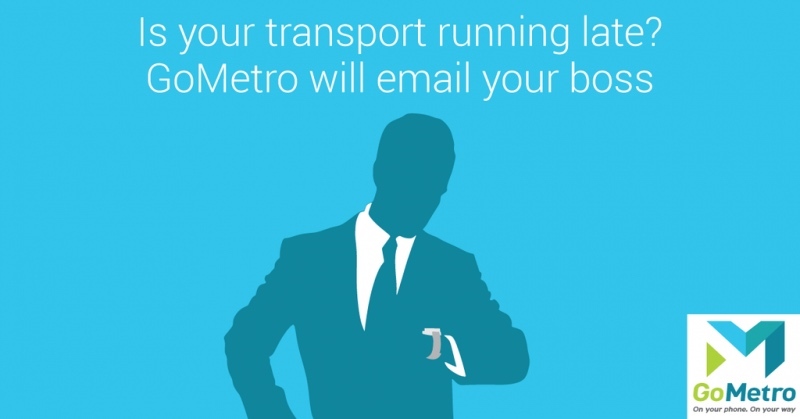 GoMetro has launched a service for commuters to initiate an email to their employers from a delayed train. Employees on their way to work who are delayed or late due to train delays and disruptions can now send their employers an Email that links to the GoMetro updater, showing the delays on their commute.